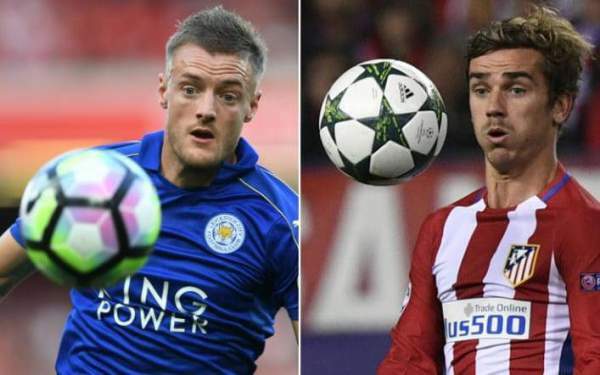 Atletico Madrid vs Leicester City Live Streaming Champions League Score ATM v LEI: Leicester C hosts Atletico Madrid for the second leg of the Quarterfinals of the UEFA Champions league at the KPS. Atletico M was able to over-power LeicesterCity in the first leg as they won the game by 1-0. This leg is going to be very crucial as Atletico only have a one goal lead and Leicester are not that easy to get the past at home. King Power Stadium, Leicester, England. Leicester City are 15th on the table with 35 points from 32 games, winning 10 games, drawing seven and losing 15 games in total. They have scored a total of 41 goals and conceded 53 goals in the league. Jamie Vardy is currently their top scorer with 11 goals to his name. Robert Huth is suspended for the game. Wes Morgan would be having a late fitness test before the game as he has missed the last six games for Leicester. L City are the first team since Malaga to reach the quarter-finals of the Champions league on their debut season. They have won all four of their Champions league home games this season. They have won three games, drew one and lost one out of the last five games. Atletico Madrid plays in the Spanish Primera Division and are currently third on the table with 65 points from 32 games, winning 19 and drawing five games in total. They have scored 59 goals and conceded 24 goals in total. Antoine Griezmann have 15 goals in the league so far and is their current top scorer. Both these teams are meeting for the third time in a European home game. AtleticoMadrid have the chance to reach the semi-finals of the Champions league for the third time in four seasons. Leicester C will try their best to win here. Stay tuned to TRT for Atletico Madrid vs Leicester City Live Streaming, commentary, highlights, and much more. Previous articleOne Piece Chapter 863 Release Date and Spoilers: Sanji And Katakuri Faceoff In Next Week’s Manga Segment?